Four Independent Intel Servers in 2U Enclosure – Saves $$$, Space & Power. Up to 128 Cores and 24 HDDs/SSDs Total. Need Pricing? Click here . 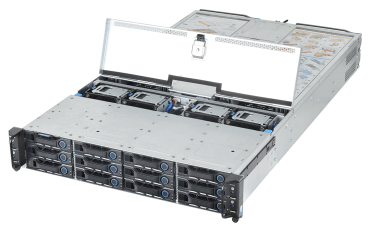 . .
FlashServer 2Ux4 provides four servers with six dedicated drive bays each in a 2U enclosure. It replaces four 1U servers in a single box. Saves $$$, space and power. Each of the four servers are field replaceable without interrupting the other three servers running. The power supplies, fans and 24 disk drives are hot swappable. All key components are field replaceable including rear-loading servers and power supplies, front-loading disk drives and top-loading fans. Top-loading fans and “push/pull” fans that maintain airflow even if one of the two fans fail and are easy to access. FlashDisk RAID Disk Arrays offer easy SAN expansion and supports HA server clusters. FlashNAS unified storage supports backup and disaster recovery. pendent Intel servers in just 2U! FlashServer 2Ux4 provides a simple way to provide multiple servers and local storage in a single enclosure. The benefits are obvious: One highly engineered, high quality, built-to-last server replaces four separate 1U or 2U servers – at lower cost. 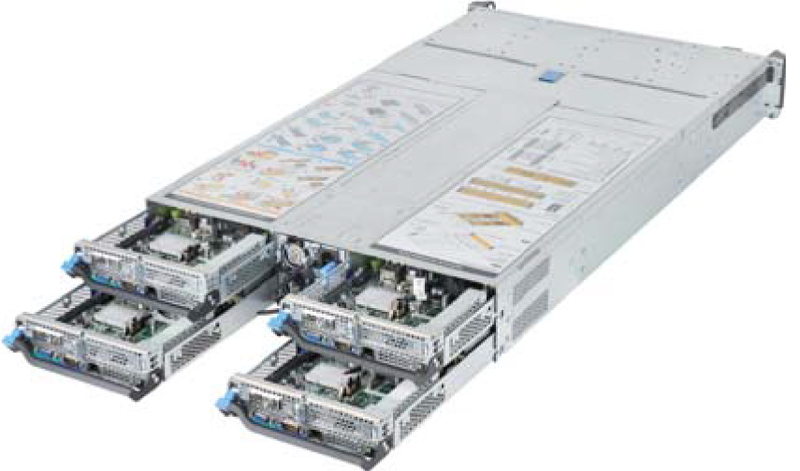 Each of the four servers provides two Intel Xeon E5-2600 v3 family processors per server node. Each node supports six 2.5” disks to 2 TB each. Thus each node supports 12 TB and a total of 48 TB of internal storage in a single 2U enclosure. Three PCIe 3.0 slots per node enable storage and networking expansion. Optional FlashDisk® and FlashNAS™ storage support hundreds of terabytes. It is easy to see the immediate benefits of installing one unit rather than four with lower upfront costs plus cutting power and cooling immediately. Additional Service Options On-site install; 24×7 hotline; On-site service, spares; Advance parts replacement; Custom programs for classified sites.